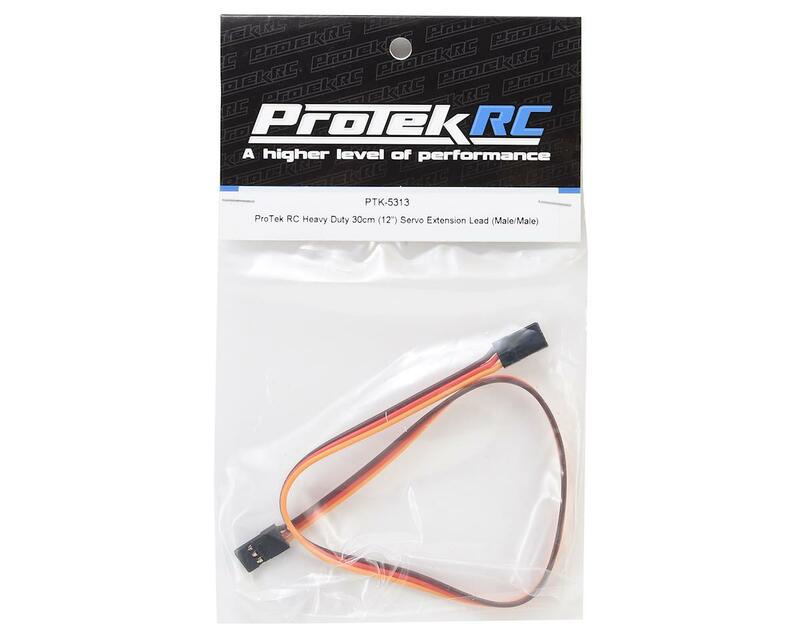 This is one 30cm (12") universal male to male servo extension lead from ProTek R/C. 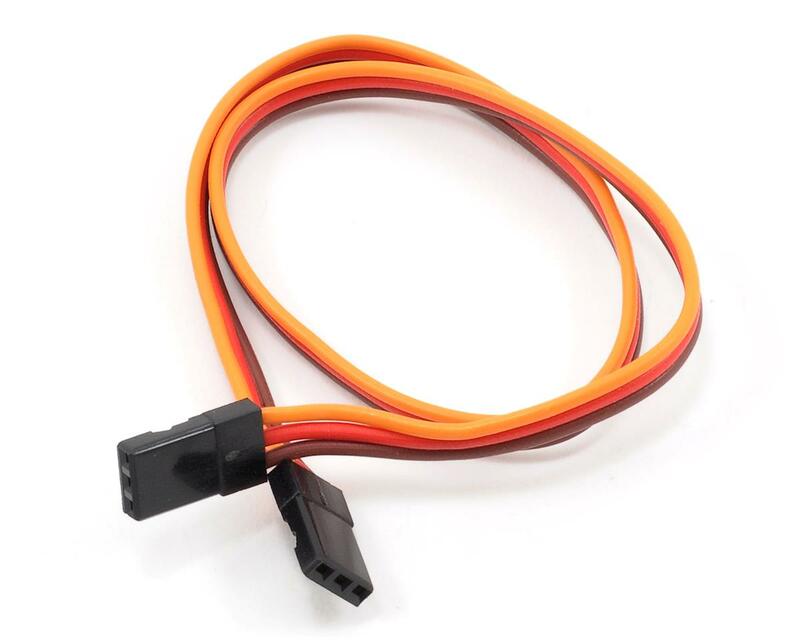 These are excellent servo extension leads made with thick, high quality 22awg wire for maximum current carrying capacity and strength. The male plugs installed on these extension leads are JR style connectors. When plugging JR style connectors into the Futaba style female connectors, be sure to check for the correct polarity.